Going viral on social media may just be about every active social media user’s goal. It’s like becoming famous by luck. By going viral, thousands, if not more, will know your name and what you did. Sometimes we attempt to go viral on purpose with funny videos, or opinions, sometimes we go viral for doing or saying something wrong, and sometimes we go viral without any intention of it. I had no intention of going viral at the time, so what is it like? Here is my firsthand experience with the event. Journalists Are Going to Reach Out to You Someway, Somehow. This was one of the coolest things I thought happened for two reasons. The first reason is the journalists actually thought my story was newsworthy. The second is they work for some of the most popular news outlets and magazines. It pays off to have a place for people to contact you, such as a blog, for them to reach out to you directly instead of through social media. If your content is going viral, there is a good chance it will end up on national television. Did I think going viral would put me on Good Morning America, Today’s Take, WENY news, or WINK 106? No way. But I am definitely keeping my few seconds of fame on the DVR for a while. People may come up to you because they recognize you from the news or social media. Also, you do not know who is going to recognize you, so make sure you are prepared for that. Luckily for me, it’s winter, and I bundle up like crazy, so you probably won’t recognize me, which means I can go around makeup free and full of dry shampoo without a care. More followers? Sweet! Getting more followers is a desired among many, especially when your goal is to be public figure. I gained over one hundred followers on Twitter and Instagram within a day, which creates a bigger audience for my brand and blog. On the other hand, getting friend requests on Facebook from people I have never met is a little different and not very practical since it can be a more private social media platform (i.e., sharing family-friendly content), so I’m not going to accept it if we haven’t met face to face. 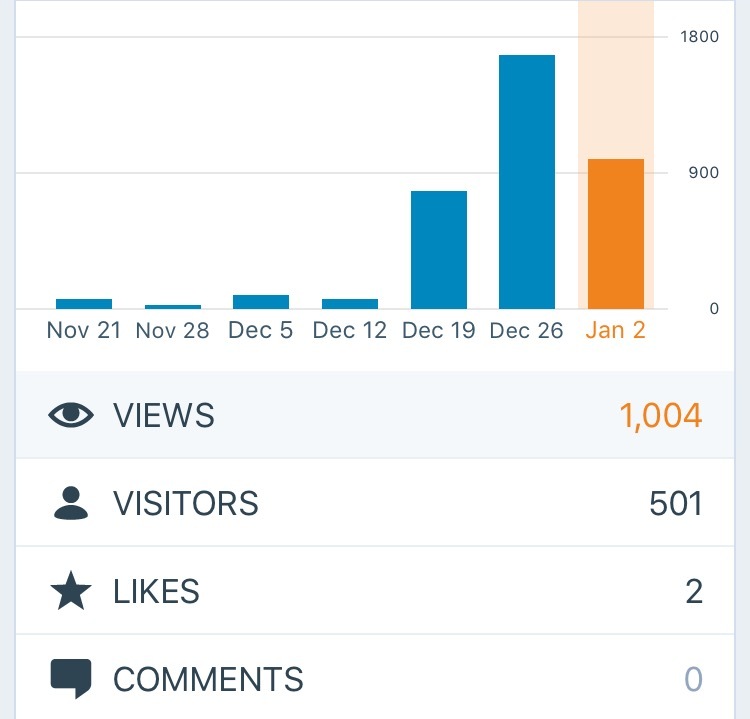 It’s been two weeks since I went viral, and my blog is still getting hundreds of hits a day. It’s mostly because the Merry Chrissymas to Me post was shared over 100 times on Facebook, and there are about 12 pingbacks from news outlets. It’s one of my favorite aspects of the big event. Even on quiet days, where I don’t post anything, the hits stay up to 100-200 views. I may not have gone incredibly viral, but I had interesting content that a lot of people continuously shared over and over again, and are still talking about. There was no intention of going viral, but one thing I am glad about is the fact that I have managed and maintained an image that I am OK with the world seeing. You can see how I cleaned up my social media in my Would Employers Approve of Your Social Media Accounts? post, which can help you clean up, not only for employers but for the image you want to portray to the world. Have you ever gone viral? Tell me about it in the comments below! Bonus points for cute and funny cat and dogs videos. This post was originally published on Jan. 8, 2017, on rebeccalhowe.wordpress.com.